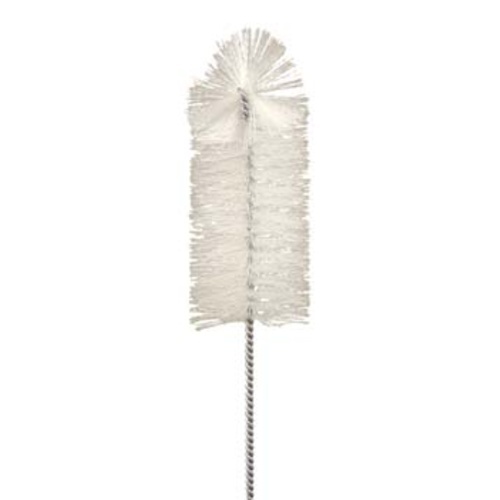 Perfect for our Bodum Electric Santos or French Presses, this brush can fit into places that hands can't. The entire brush measures 18 inches, with the head measuring 6 inches and the handle 12 inches. The handle is made of intertwined aluminum wire and is easily bendable to form any angle you want. The brush itself is made of a semi-stiff food grade plastic that completely dishwasher safe and can safely be boiled.